Will it be Team Canada or Team Europe who wins the World Cup trophy? The guys make their picks and hope for a somewhat good series. 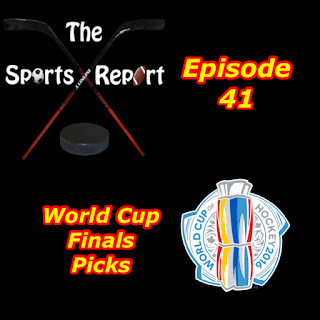 It's down to four teams in the World Cup, Canada, Russia, Sweden and Team Europe and Blake, Sal and Mike decide who will make it to play for the World Cup Trophy. Champions, bromances, documentaries and Angela Lansbury, all that plus fighting a GLORIOUS storm on this week's show! Blake sits down with the current Shine Champion and Lucha Underground star Ivelisse returns to the podcast to discuss her injuries, winning the Shine championship, Lucha Underground storylines and characters and more. 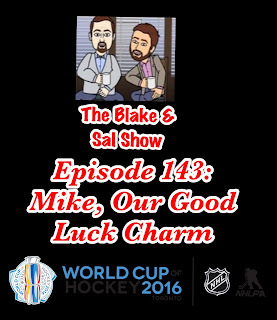 Blake and Sal bring Mike onto the show to help them preview and break down the 2016 World Cup of Hockey. Becky Lynch is the biggest new star in WWE? Johnny Gargano is done in Evolve? Cody Rhodes bought the crowd pizza? All these questions are answered and more when the guys sit down on FB Live to discuss the week that was in wrestling. The hardest thing to do in sports is to win a championship, it's even harder to repeat as champion. 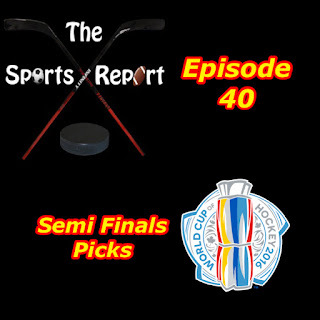 That is what the Detroit Red Wings did in 1997 and 1998 and the guys are here to discuss that while watching Game 4 of the 1997 Stanley Cup Finals between the Red Wings and the Philadelphia Flyers. In a show where the guys have a bunch of connection issues that led to a very crazy Patreon blooper reel (https://www.patreon.com/posts/blake-sal-show-6709382), they are back from vacation to preview WWE Backlash, Sal talks about Britney Spears' new album Glory, various news items and Blake explodes on a very bad episode of WWE Raw. Blake and Mark do their first official show on Facebook Live! 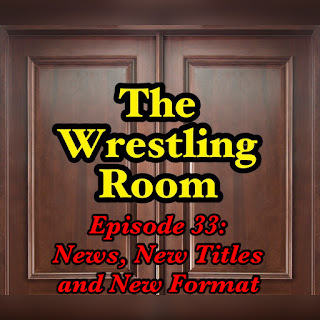 During the show they preview the Cruiserweight Classic Finals, discuss Lucha Underground, Battle of Los Angeles and much more including big local show announcements. 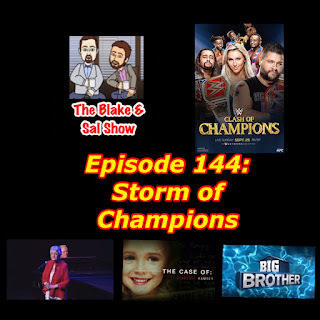 Blake and Mark break out a new show format to discuss the news including Finn Balor and Sasha Banks' injuries, Kevin Owens winning the Universal Championship, ROH debuting a new title, Mark's early thoughts on Backlash and the passing of Mr. Fuji. Join us on FB Live on Thursday 9/8/16 at 6pm (CT)/7pm (ET)!